As we left the Christmas celebrations behind and settled into a lazy summer holiday routine, I discovered that there wasn’t a lot of time left over for sewing. However, I did get to create some pretty pieces and start some new projects in January and I thought I’d share them with you now. I started sewing one inch hexies together when I was watching the kids at sport last year, and I thought it was time to do something with the little panel I had created. So I created a new mini quilt pattern that you can read more about HERE. I loved the little hexagons details in this mini. And using Aurifloss for the quilting made all the difference! 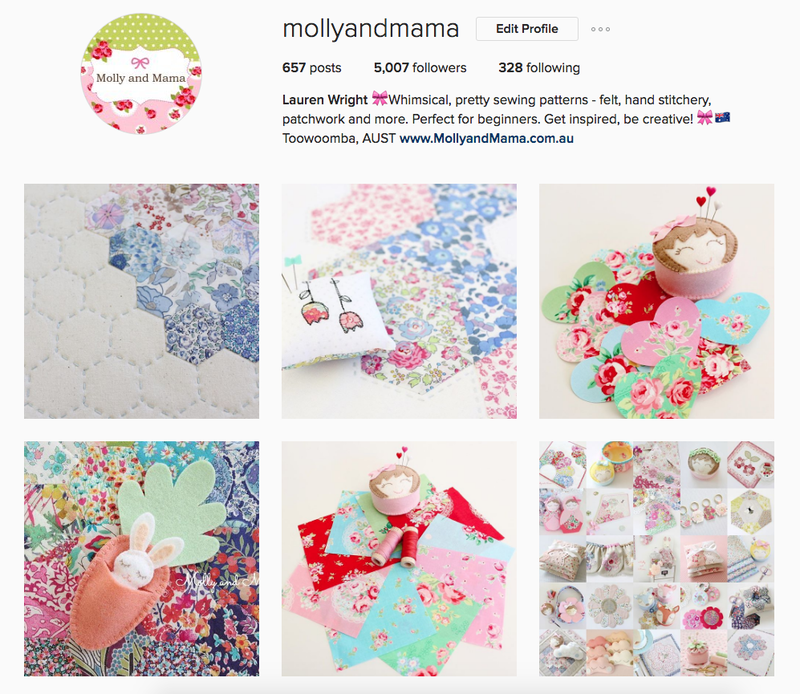 One of the loveliest things that happened in January was the ‘Aussie Sewlebration’ that I co-hosted on Instagram with the gorgeous Ange from A Little Patchwork. A very generous group of Aussie makers joined us to donate prizes and help run a little promotion showcasing all the talented makers, creators, sewists, crafters and small business owners we have in Australia. It was in honour of Australia Day on the 26th. 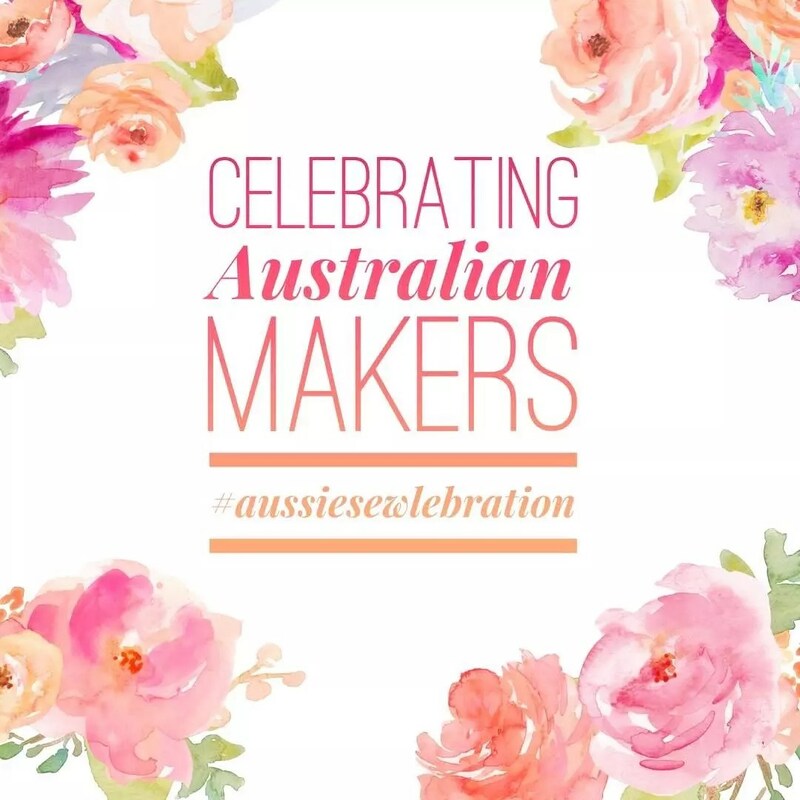 Our celebrations helped connect our international Instagram audience with our Aussie makers. I was so proud to be a part of it. Check the hashtag #aussiesewlebration to see more. I also got started on a new appliqué project; the ‘Just Sew Happy’ mini quilt pattern from Jemima at Tied with a Ribbon. I stepped out of my comfort zone a little and chose some lilac shades of Liberty. Paired with coral colours, the Liberty really works well for this project and I can’t wait to show you more. Miss Molly likes it too! 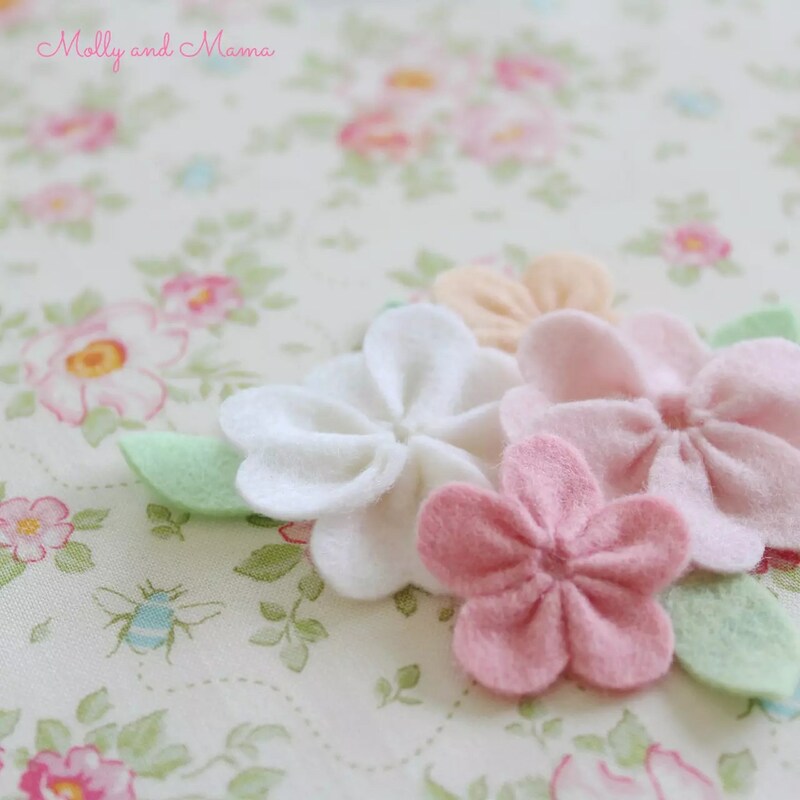 I didn’t have as much time to work with felt as I would have liked, but I did create some simple felt flowers that paired perfectly with this print from the new Tilda Bumblebee range of fabrics. The Tilda team even shared one of my projects on their blog! Check it out over here. 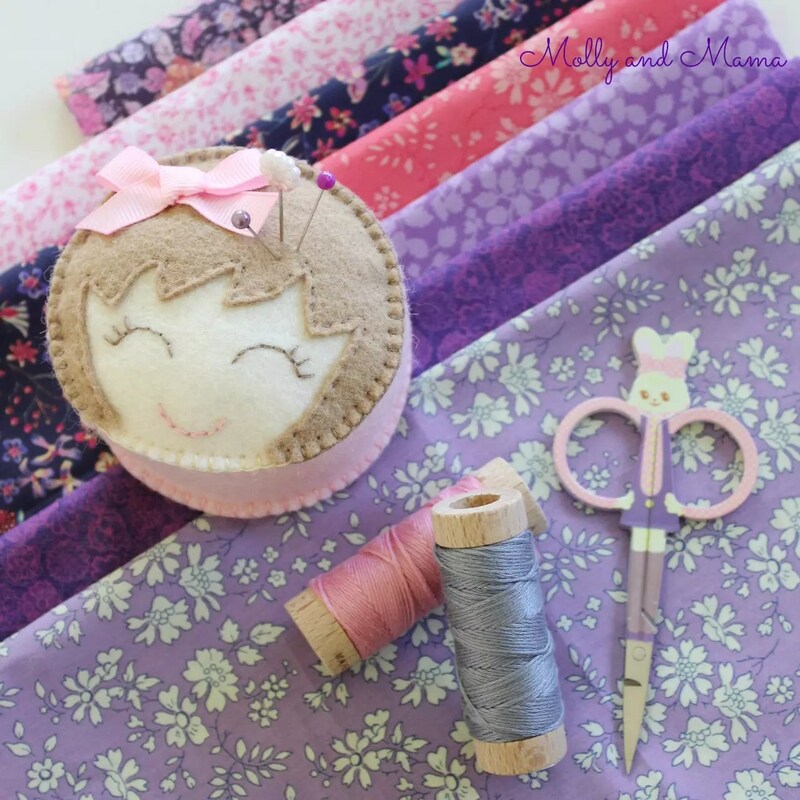 Minki Kim of Zeriano (on Instagram) hosted a pin cushion sew along this month. 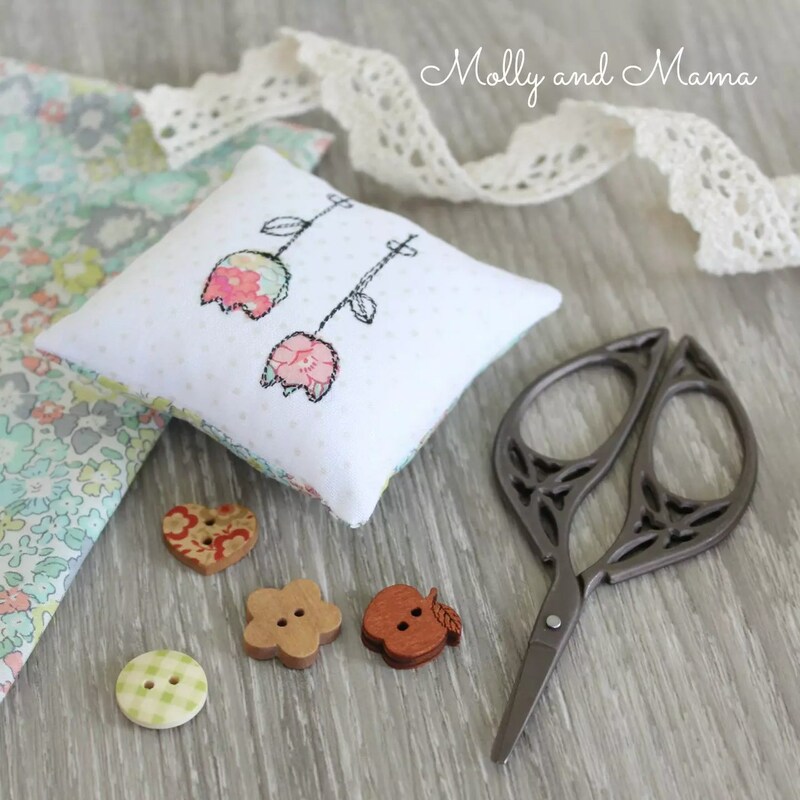 I downloaded her pattern that included a bunch of gorgeous illustrations to decorate the pin cushions. Having never tried sewing illustration before, I found it quite challenging. Lucky I was starting with something small! I only found time to make one pin cushion. But it’s always nice to try something new and learn different techniques, so I’m looking forward to trying this style of appliqué again. Search the hashtag #pincushion2017sal on Instagram to see more examples of these gorgeous designs. Carla of Carla’s Creations had a brilliant idea to help us all get sewing from our collections of craft books. I’m guilty of having a beautiful shelf of sewing books that I never find time to sew from. So I am hoping to join her #2017sewingbookchallenge and sew from my own library first. I want to start with this beauty that arrived a couple of weeks ago. 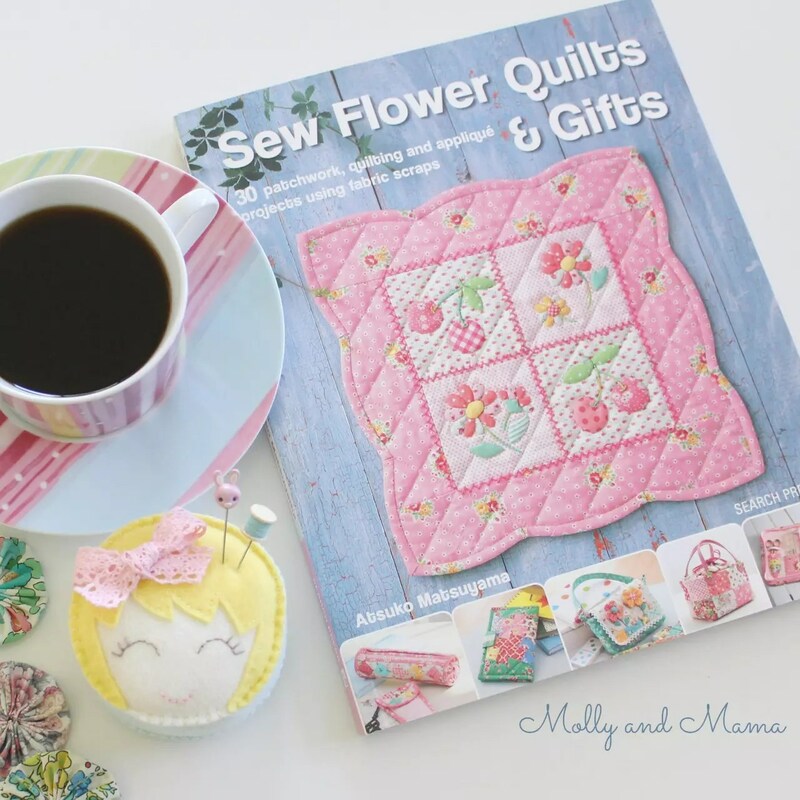 This is the UK version of Happy Flower Quilts: 30 Colorful Quilts, Charming Bags and Cheerful Gifts (affiliate link). 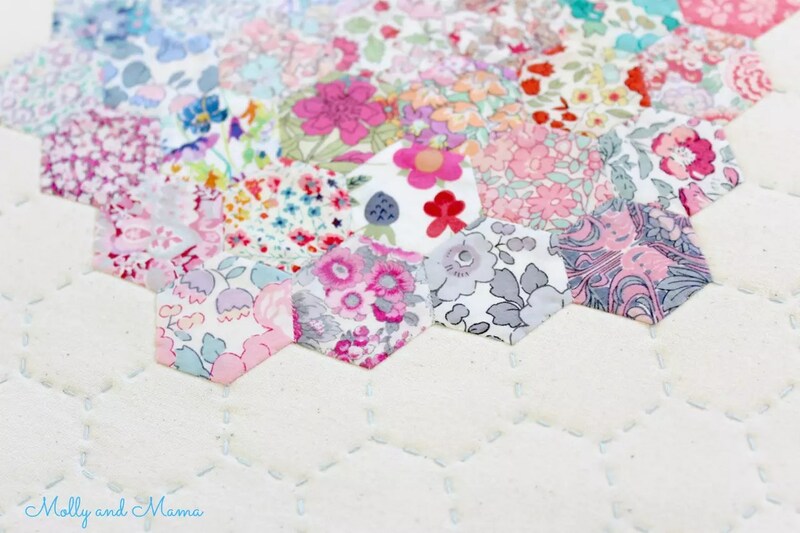 There are so many pretty projects in it, I’m having trouble choosing one to start with! 2016 was a really busy time for me and my business, and I shared a lot of my makes with you in this round up post. I know this year will be even busier and I’m so excited about that. So I’m planning to show you my sewing on the blog when I can. If you’d like much more frequent updates, be sure to head over to Instagram. I must confess I’ve become a little obsessed and you can see updates from me there on most days! Here’s a sneak peek. I can’t wait to show you more of the projects I’m working on. So stay tuned!